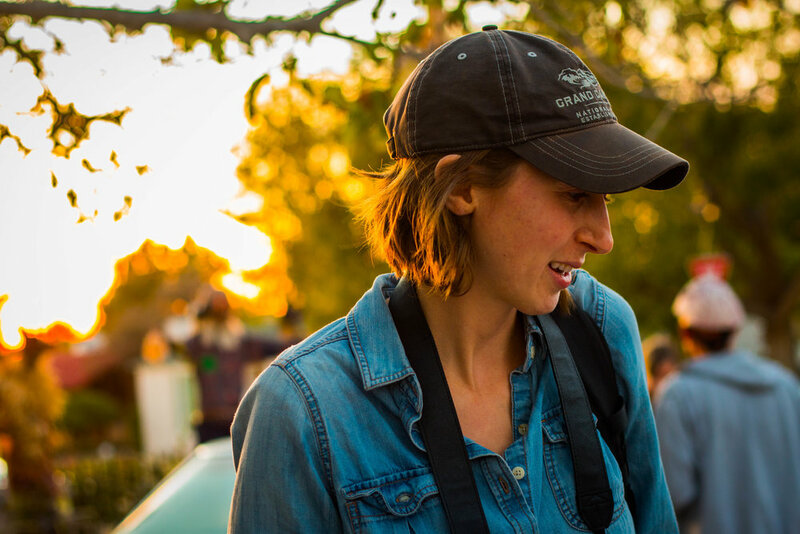 Allison Walsh is a Peoria-based independent documentary filmmaker, freelance videographer, and fine artist. She is committed to local political and art advocacy and to documenting social issues in the Midwest. A short documentary film about a queer artist and drag queen living in Peoria, Illinois. Pride Film Fest (Chicago, IL); LowRes X Moonrise Femme Filmmakers Showcase (Chicago, IL); Acorn Equality Fund Grant. A video about education and religious literacy from the perspective of NBA basketball star and social justice advocate, Enes Kanter. The video includes an interview with Kanter, footage of the Prospect High School boys’ and girls’ basketball summer camp, and an interview with the varsity boys’ basketball coach and World Religions teacher, John Camardella. A short art film/documentary film hybrid that follows a border patrol agent and former undocumented nanny living at the U.S.-Mexico border of El Paso and Juarez. Paris Art and Movie Awards (Paris, France); Festival Sayulita (Sayulita, Mexico). A short documentary film about riders of Peoria’s CityLink bus, where passengers narrate where they are going, where they are coming from, and what challenges they are trying to overcome. 48-Hour Film Fest (Peoria, Illinois). A short documentary film produced for Peoria NPR Radio about the Mexican migrant workers who harvest pumpkins in Morton, IL, the largest producer of pumpkins in the world and home of the Morton Pumpkin Festival. A short documentary film about a zany Peoria couple who competes in Ironman triathlons while maintaining high-ranking jobs and not-for-profit leadership roles. A four-part video series that shares how the Bloomberg-Philanthropies funded Innovation Team addresses the biggest challenges facing the city of Peoria through creative, strategic approaches. A series of videos for the Downtown Development Corporation of Peoria highlighting downtown apartments, condos, and recreational activities. A video about Career Spark, an event hosted by the Economic Development Council of Greater Peoria for 3,500 job-seeking students. An annual short film festival for international and Central Illinois filmmakers to come together and celebrate their work. The festival connects participants with well-known judges in the film and television industry and is an accessible event with donation-based tickets at the Peoria Riverfront Museum. Big Picture offers a $3,000 filmmaker grant to one emerging filmmaker in Peoria. Summer and after-school filmmaking classes for Peoria Public School middle school and high school students, where kids learn the basics of pre-production and how to create their own films. Delivered a lecture following a presentation of my short documentary film, Parallel Lines.